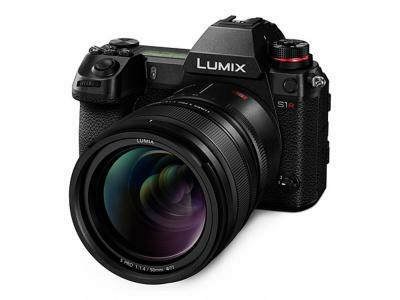 Panasonic's Lumix S1 and S1R are full-frame mirrorless cameras. The S1 features a 24.2 MP sensor while the S1R has a 47.3 MP sensor with no low-pass filter. The weatherproof cameras sport a 3.2" rear LCD display - and a brand new EVF that is based on Sony's new 0.5" ECX339A 1600x1200 120Hz OLED microdisplay . The Panasonic S1 costs $2,499 (body only) while the S1R costs $3,699. The cameras will ship in April 2019, but can be pre-ordered already at Amazon.com (note: affiliate links). 0.5" 1600x1200 120Hz OLED microdisplay.